A Wigan man high on cannabis attacked his mum as she tried to take his drugs away. 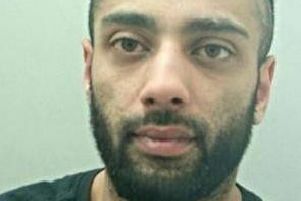 Samuel Prescott, of Smiths Lane, Hindley Green, was released on conditional bail to return to Wigan Magistrates’ Court on May 17 while probation compile a sentencing report into the charge of assault by beating. Joanne Cronshaw, prosecuting, said that on April 17, the 21-year-old returned home under the influence of cannabis. “When his mum Lorraine Prescott found a bag of the drug he grappled with her to retrieve it, pushing her on his younger brother’s bed. Ms Cronshaw said: “The defendant is a cannabis user and has mood swings and is aggressive. He returned home under the influence and could barely walk up the stairs. “His mum asked him to leave and found a pouch of cannabis. She picked it up and walked out of the bedroom. He grabbed her hand and tried to take it from her. He slapped her and she lost her balance and she fell on his 12-year-old brother’s bed. “He slapped her repeatedly on the arms to grab the cannabis. Her other son tried to intervene and told him to stop. He held her so hard she had to bite his hand to stop him attacking her. “She ran downstairs to tell his dad who came upstairs. Ms Prescott had bruising to her upper left arm and she had blood underneath her eye. “In her victim impact statement she said she was shocked and upset, especially as it was her son. She said she feels she can’t be left alone with him. She added she hoped some good would come out of this and he would get help.